I thought this summer was going to be a take it easy, relaxing summer. Instead, I have something going on pretty much every weekend and lots of projects around the houses. I visited one of my sponsors, Cequent/Fulton Performance. They held their 100 year anniversary celebration and get together in Wisconsin. It was nice to hear about Cequent and Fultonâ€™s business. Fulton was the originator of the coupler system that connects trucks and trailers and to hear about that was pretty neat. What really intrigued me was to hear how a company survives over 100 years. When you think about how hard that must be to do, and the relatively few other companies that have lasted that long, it speaks volumes about them as a business. The evolution of their innovative product lines, their level of performance and customer service are key reasons they have made it 100 years. Congratulations to the company and all the talented employees that have made that happen. I am thrilled to be a part of the Cequent and Fulton Performance Team. 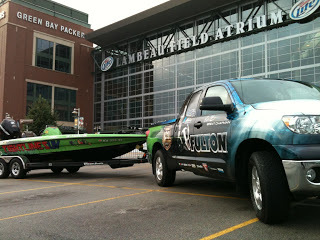 Part of the event was a visit to Lambeau field and took some photos of the Triton/Mercury, Tight Lines UV and Futon boat and truck in front of the stadium. We got a full tour of the stadium and a Green Bay Packers history lesson. They love their 2011 Super Bowl Champion Packers in Wisconsin! Another thing I learned in Wisconsin, you know they are known for their cheese, was what a cheese curd was. I love cheese and they introduced me to cheese curds. Now I am hooked. If any of you get to Wisconsin, make sure you give cheese curds a try. Cequent held a raffle drawing for their employees. The winner got a day of fishing with me the following day. I fished with a nice guy named Shane and his son at a small lake in Wisconsin. We had a good time catching a decent amount of fish and sharing stories. I just wrapped up a seminar series I have been working with my Church on. We did a five-week seminar on going fishing. During the five-weeks, I held seminars after each church service where we discussed lots of aspects of fishing. We’ve had a heat wave here in Kansas so it was pleasant to be inside talking about fishing rather than out in the heat actually fishing. Recently there was an article in In-Fisherman magazine by a gentleman by the name of Ned Kehde titled Pain Free Fishing. The focus of the article was about a guy by the name of Travis Perret of FelixFishing.com and what he has done for anglers. He has worked with Stacey King and Takahiro Omori, who he really helped with his wrist injury. I got in touch with him after hearing he was also in Kansas. Prior to getting started with Travis, I actually thought I was in pretty decent shape. Although Iâ€™ll admit that I hadnâ€™t been working out much. I have been working out with Travis three or four times a week for an hour. I am finding out just how out of shape I really am. Looking ahead to the Bassmaster Classic in February, I know Iâ€™ll be ready to go by then. Those nasty cold days early in the season with lots of gear on and even into the summer where the weather can actually take a lot of energy out of you, well I will be ready for it. Iâ€™ll keep you posted wuth this blog. I may even include some photos of my flexibility improvement and more as we move towards the Bassmaster Classic. We just got back from a pretty fun trip. 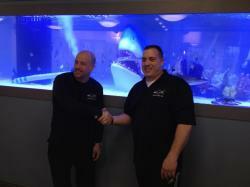 Back in January I donated a fishing trip to my kids school to help out a fundraiser. A local friend here in town invited me down to his 25-acure farm pond to go fishing. Itâ€™s kind of sad, here I am a professional bass fisherman and the last bass over 4 pounds I caught was back on Toledo Bend in April. I was looking forward to going down there and getting some quality fish. We caught over 100 bass as a group. I did get at least one 5-pounder and a 6-pounder. The kids rode four wheelers and explored the farm while we fished. It was a fun weekend. I didnâ€™t need a day of fishing what I seriously needed was a day of catching like that. 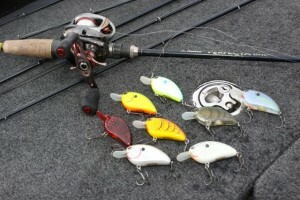 Looking ahead itâ€™s time to put the rods and reels down for a while and get ready for bow hunting season. Bow hunting is one of my favorite things to do, itâ€™s a lot like tournament fishing in that the details are key, if you cut corners in any aspect of the hunt you are going to pay for it. Every year I am out to beat get a bigger white tail, which isnâ€™t easy. Itâ€™s a lot like those California trophy bass anglers they get a 14 or 15-pound bass and its pretty hard to go up from there. Plus, itâ€™s time to get the kids a ramped up a little more with the hunting. This weekend coming up I am headed down to one of my sponsors, Labette County Kansas. They are hosting a large year-end tournament for the ABA circuit on Big Hill Reservoir. I am headed down and will spend the weekend talking fishing and sign autographs. Itâ€™s always enjoyable meeting and talking fishing with other anglers and fans. Next weekend I am truly stepping out of my comfort zone. Our community here, Lake Quivira, is having a sprint triathlon. I am pretty competitive and I like new challenges, so I am competing in that this year. It includes a 500-Meter swim, and I am not a swimmer. After the swim comes a 9-mile bike ride, and I am not much of a biker either, I do have my mountain bike, but most of the competitors will have fancy road bikes. Then it ends with a 3-mile run. I havenâ€™t done anything like this before other than a few 5kâ€™s that I have done with Bobbi the last couple years. Itâ€™s going to be an interesting challenge for me. I am not out to win, but more just to say I did it. I am tired just thinking about all that. Iâ€™ll start getting my food plots out for the hunting season next week. Lastly, I would like to thank Ben Fuchs who has helped me with my blogs over the last few years. He was a big help and I really appreciate it. Now we will be working with True Image Promotions my new PR company moving forward. 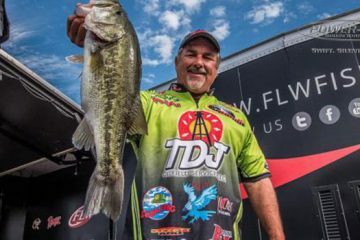 I am excited about the idea of the True Image helping me gain exposure for my sponsors and helping me educate anglers through articles and videos and keeping my fans informed on what I am up to. 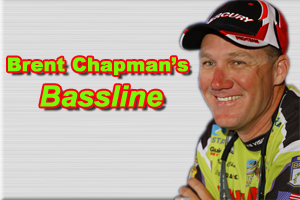 Weâ€™ll be blogging often so be sure to check the website http://BrentsBassLine.com and like us and follow us on Facebook at http://Facebook.com/BrentChapmanFishing.